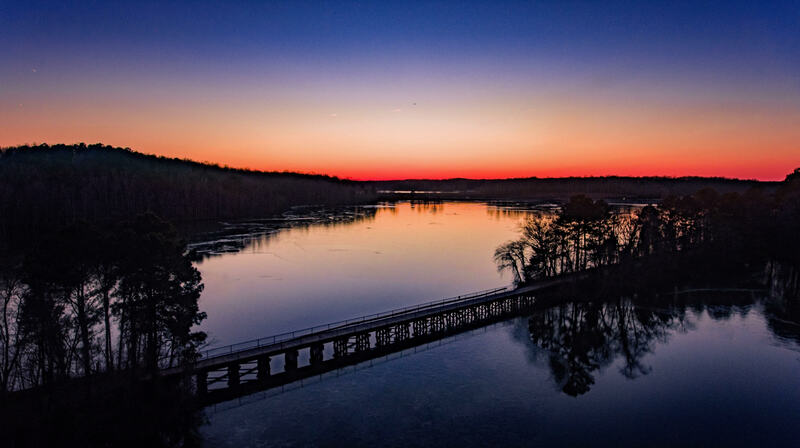 Shawna Tillery, Planning and Project Management Division Manager for The Greensboro Parks and Recreation Department, says that Lake Brandt is the most visited lake in all of Greensboro, based on trail counters at eight different sites in the city. Originally built in 1925 and raised to its present level in 1958, it was named after Mayor Leon Brandt, who served in 1907 and 1908. In the present day, it marks an awfully nicer scenic route to take if you’re not in a rush to deal with the terrible traffic down Battleground Avenue. I’m forever grateful to our town’s amazing parks and rec department, who make GSO such a beautiful place to live and have even won (thrice!) the National Gold Medal Award for Excellence in Park and Recreation Administration.